Eating disorders are not primarily about food, but can be seen as a way of coping with emotional distress or as a symptom of underlying issues. For the person with the eating disorder, controlling the food and the body is their way of relieving distress and achieving some degree of control over their life. 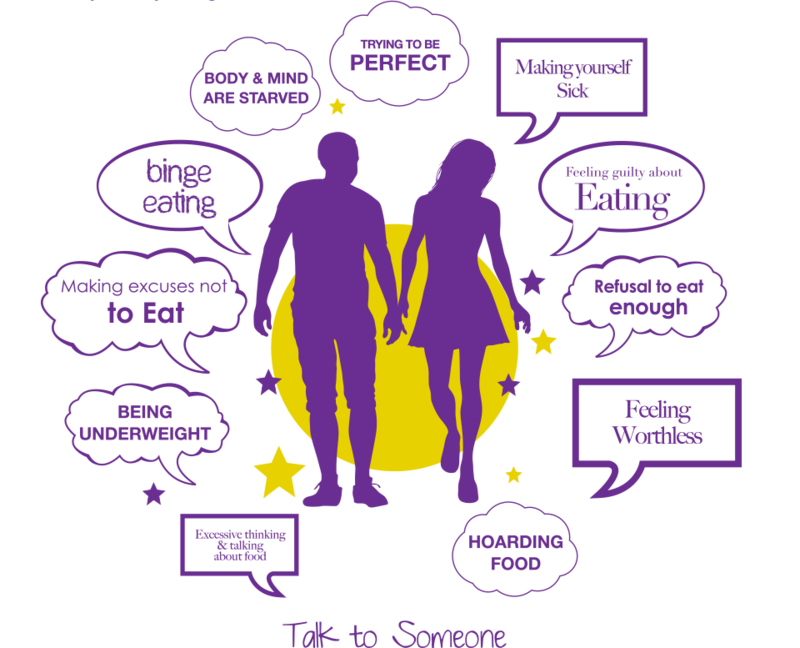 Eating disorders can affect anyone, male or female. With appropriate help and support, people can and do recover. An eating disorder can be very destructive, both physically and emotionally, and people can get trapped in the destructive cycle of the eating disorder without knowing how to cope with it.